Even though Hilton Head Island wasn’t incorporated as a town until 1983, William Hilton actually landed in the Low-country in 1663. But he wasn’t the first to see the beautiful beaches of the island. The Yemassee Indians were already there to greet him, and other Indians could have been there as early as 4,000 years before that. If you are interested in finding out more, there’s no better way than coming down to explore the history yourself. What should you make sure to see when you come? The place you’ll want to start is the Coastal Discovery Museum. In just a few hours, you can investigate exhibits on the many years dating from the time of the Native Americans, through the devastation following the Civil War, the beginning of the Gullah culture, and through to the resort boom in the mid-20th Century. Several tours and programs will teach you all you need to know in a day’s visit. Perhaps your interest lies in the Civil War era. We’ve got that. Once the Battle at Fort Sumter brought the war to the South Carolina coast, it didn’t take much time for the Union to take over Hilton Head, forcing many families to leave. The ones left behind were mostly the emancipated slaves who originated the Gullah culture, for which the island is famous. Come see Mitchelville, where the Gullah kept their population in tact through the years. If you want to find something even older, you’ll need to head over to the Zion Chapel of Ease Cemetery and Baynard Mausoleum. Constructed in 1788, the church is the oldest structure on the island. You’ll be able pay respects to some of the original colonial families as well as some Revolutionary War heroes. 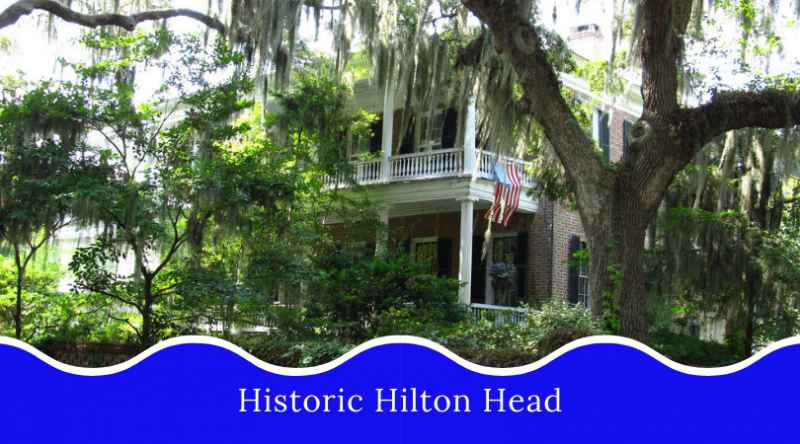 Hilton Head is a rare town that has a distinct history, covering many different American cultures. It’s history that can appeal to everyone and is worth investigating.